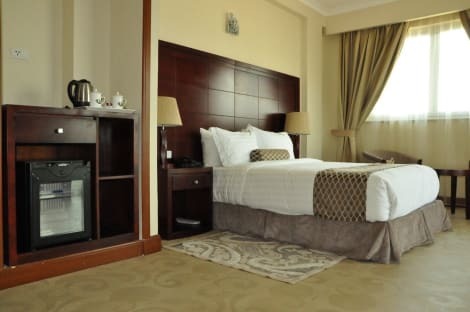 A stay at Aphrodite International Hotel places you in the heart of Addis Ababa, within a 10-minute drive of Addis Ababa Stadium and Meskel Square. This hotel is 1.9 mi (3.1 km) from Holy Trinity Cathedral and 2 mi (3.3 km) from Edna Mall. With a stay at The Residence Suite Hotel in Addis Ababa (Kirkos), you'll be within a 10-minute drive of “Red Terror” Martyrs' Memorial Museum and World Bank Ethiopia. 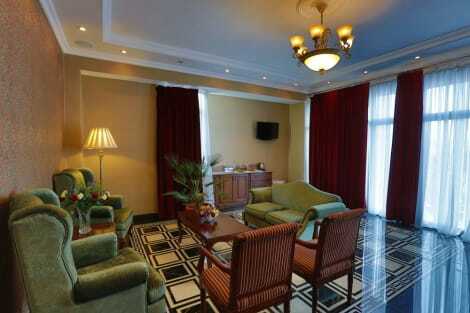 This 4-star hotel is 2.9 mi (4.6 km) from African Union Headquarters and 1.2 mi (1.9 km) from ECA Conference Center. House No. 172, Djibouti St. Enjoy a meal at the restaurant or snacks in the coffee shop/café. The hotel also offers 24-hour room service. Mingle with other guests at the complimentary reception, held daily. Wrap up your day with a drink at the bar/lounge. A complimentary buffet breakfast is served daily from 7 AM to 10 AM. Featured amenities include a business center, express check-in, and complimentary newspapers in the lobby. A roundtrip airport shuttle is complimentary (available 24 hours). Treat yourself to a stay in one of the 85 individually decorated guestrooms, featuring fireplaces and LED televisions. Rooms have private balconies. Complimentary wired and wireless Internet access keeps you connected, and satellite programming provides entertainment. Conveniences include phones, as well as laptop-compatible safes and desks.